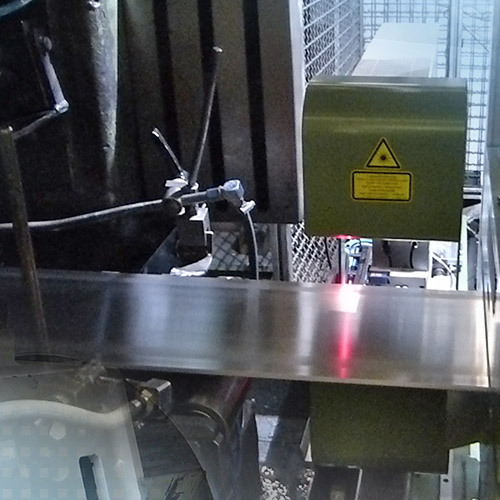 When measuring the thickness of metal strips, optical methods based on laser triangulation have numerous advantages compared with other methods. They measure without contact and therefore without wear. Moreover, independently of the condition of the material it is possible to carry out an exact geometrical measurement in relation to the strip surface. Micro-Epsilon offers robust measuring systems as C-frames and O-frames which operate independently of the alloy.